MIRANSHAH: Fencing at Pakistan, Afghanistan border has been intensified as out of the total 2,611 kilometres of fence-able borderline, the fencing of 170 kilometres has been completed besides 140 forts/posts have been erected and work on the rest of the frontier is going on despite harsh weather conditions in the rugged terrain at the porous border. 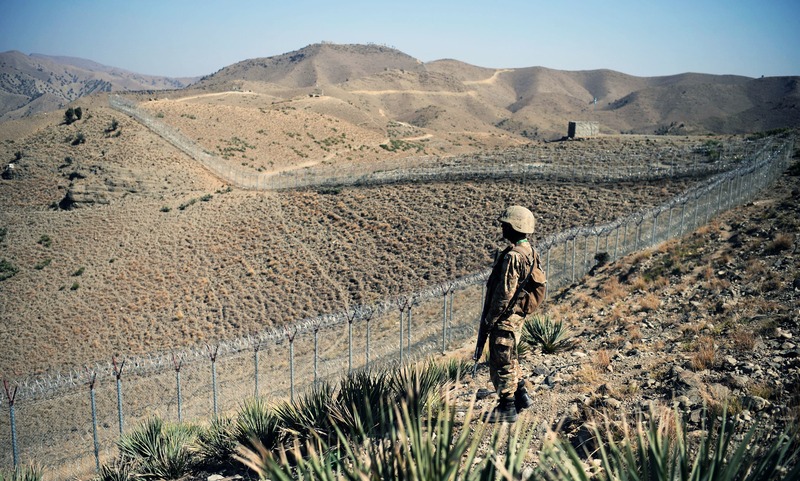 A visit to the Kitton Fort in Dawagar Sector, around 20 kilometres from Miranshah, North Waziristan, reveals how difficult it has been to fence the border at the world’s highest hills. However, it was heartening to note that Pakistan Army’s commanders and jawans have been carrying necessary construction material and equipment on mules or even on their shoulders just to ensure that no militant or criminal crosses the border to intrude into either Afghanistan or Pakistan for carrying out terrorist activities. Pakistan plans to complete the fencing of the Pakistan-Afghan border by 2019 with a cost of over Rs 56 billion. Kitton is a mountain peak at the Pak-Afghan border adjacent to Khost city of Afghanistan. The small fort is equipped with state of the art monitoring gadgets to ensure not a single fly crosses over from either side of the border. A visit to the under-construction Miranshah Bazar reflected the majority of construction work completed, while the locals also were visible busy in their routine life. Sarbakai model village looked phenomenal as well. Later, briefing a select media group at Div headquarters Miranshah, a senior army official said that 400 mega projects had been completed before the repatriation of TDPs. He said that till date, 91 per cent TDPs had returned to North Waziristan Agency while the nine percent TDPs who had migrated to Afghanistan would soon be arriving. He also said there was no societal crime in the agency and isolated incidents were only by terrorists crossing over from Afghanistan, adding that with the completion of the border’s fencing, chances of any infiltration would further diminish. “People here want an immediate implementation of FATA reforms. 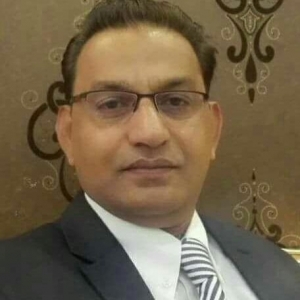 With the completion of most of the development process in the region, the crop is ready and civilian administration just needs to pick it,” he added. He further said that effective border control aims at changing the centuries-old paradigm of unregulated borders into a border which is managed and regulated as per international best practices. It aims at denying illegal movement of persons and goods, thereby checking cross-border movement of terrorists and their facilitators, abettors etc. “Around 750 forts with inter fort distance of 1.5 – 3 Km are planned along Pak-Afghan border to cover frequented and unfrequented routes. Presently, 140 forts have been completed and 15 are under construction. The remaining are in the pipeline,” he said. “So far, fencing of 170 kilometres has been completed in segments in Bajaur, Mohmand, Khyber, NWA and SWA. This fence will be suitably incorporated with technical surveillance means and border forts/ posts,” he added. “Though there are hundreds of un-notified/ unfrequented routes, 16 notified routes exist along Pak Afghan border. As of now, two notified border crossings (Torkham and Chaman) have been equipped with biometric identification system. Both crossings are also planned to be developed by ADB as per international best practices. Two other notified crossing (Ghulam Khan and Karlachi) are being developed. Rest of the crossings will be developed in due course of time,” said the official. On the issue of raising of 73 FC Wings, the officer said that 29 FC wings have been raised to date while 14 FC wings would be operationalized so as to be deployed in FATA and Balochistan on borders as well as IS duties. When asked if Afghanistan’s border management mechanism matched the Pakistani model, another officer said that against Pakistan’s 14 posts, Afghanistan had only two posts. He said that Operation Zarb-e-Azb had claimed lives of 818 martyrs of Pakistan Army and had left 2376 injured. But now, he said, there was not a single no-go area in the entire agency and life had returned to normal in the area. He said that 7,200 Intelligence-Based Operations (IBOs) have been conducted and added that a polio observation drive had been conducted and the population was 100 percent polio-free. Also, the army has established 313 state of the art hospitals, 284 modern schools and six Army Public Schools are also functioning.